We want to do it right. Let’s have yoga and cocktails and club nights and themed balls and crèches and quizzes and scrabble tournaments – and gigs. 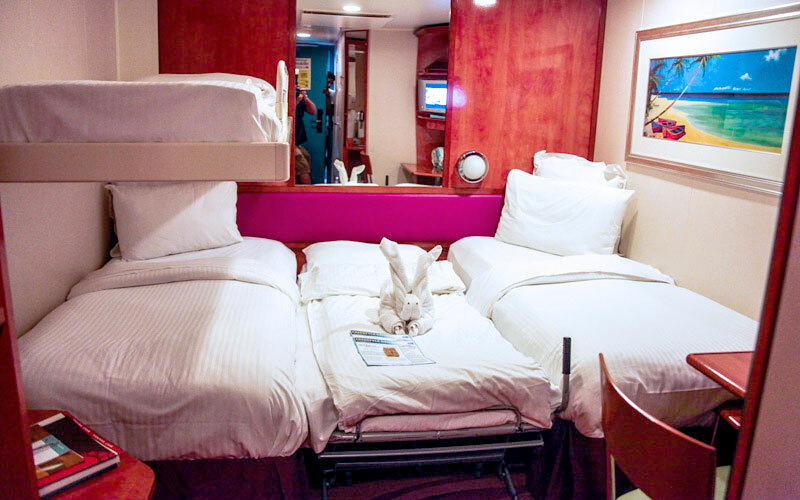 Gigs upon gigs from some of our good friends and favourite acts in rock ‘n’ roll on five stages throughout the ship - and instead of stumbling home to a damp tent in a dark field, saunter back to the comfort of a clean bed in your own stateroom on a luxury liner. So what else can you expect from The Boaty Weekender? How about two unique performances from Belle & Sebastian, a live Q&A with the band, activities with each of us – and if you reserve your stateroom fast enough, some neat extras. The first 350 staterooms will attend a performance of Fold Your Hands Child, You Walk Like a Peasant – an album we’ve never before performed in full. Reserve a stateroom during the pre-sale, and you’ll get an exclusive cruise vinyl that will look exceptional in your record collection. And there’s loads more where that came from. Don’t you fancy joining us on this floating festival with fellow fans? This party we’re throwing just won’t be the same without you. Let it be so. No checkout, and breakfast runs till two. What does the price of The Boaty Weekender include? Round trip cruise from Port of Barcelona to Cagliari, Sardinia. Taxes, port charges and ticketing are added at check-out and pre-paid by you (£145.00 per person). $7.95 USD Room Service Convenience charge. Travel Protection (available through Sixthman for US and Canadian guests only). *Please note that most onboard purchases (including food and beverage and merchandise) during this itinerary WILL be charged applicable taxes. Booking your stateroom is easy! You can book online at theboatyweekender.com/booknow, or over the phone by calling +44 808 164 1488. Sixthman Usernames: You'll need to login with (or create) a Sixthman Username to book. If you've traveled with Sixthman previously or signed up for the The Boaty Weekender Pre-Sale you have a username. Recover forgotten login credentials here, or contact us or try our live chat for immediate assistance. If you or a guest needs a Sixthman Username you can create one while booking. Credit Card Payment: Visa, MasterCard, and American Express are all accepted. If you are paying with multiple credit cards, you will need all of the credit card numbers (with expiration date and card verification number) as well as the name and billing address for each card. If you have traveled with Sixthman previously or signed up for the The Boaty Weekender Pre-Sale, you have a username and will not need to create one. If you don't know your username, you can recover it here. You can also contact us and we will be happy to look it up for you (try our live chat feature or call us at +44 808 164 1488). ALL DEPOSITS AND PAYMENTS ARE NON-REFUNDABLE. If you wish to protect your investment, we strongly recommend the purchase of travel insurance. We've teamed up with Travel Insured to offer two levels of insurance for guests of the United States and Canada: a standard insurance policy and a 50% Cancel for Any Reason add-on policy. The Boaty Weekender is run “festival style,” with multiple shows going on simultaneously. All of these shows are general admission*, so you’re welcome to come and go as you wish! *The only exception is the Belle & Sebastian performance of Fold Your Hands Child, You Walk Like a Peasant in the Stardust Theater. The first 350 staterooms booked will have access to this show. The first 350 staterooms booked will attend an intimate Belle & Sebastian theater performance of Fold Your Hands Child, You Walk Like a Peasant -- an album never before performed in full! Those guests who booked a stateroom at any time during the pre-sale will receive an exclusive cruise vinyl that will look exceptional in your record collection. Paid In Full Discount: Reservations made through November 8, 2018 that are paid in full within 72 hours of booking will receive a 5% discount off stateroom fare. The Paid In Full Discount will only apply if the entire stateroom is paid for and is not available on a per person basis. Youth Discount: Children 6 months to 14 years at time of sailing will receive a £99 youth discount. Referral Discount: A discount of £100 off the reservation total is available if all guests in your cabin are first time guests of a Sixthman event and you enter a valid referrer username during booking between the dates of September 21 and July 9, 2019. See full program details here. What is Kids Sail for Less? We welcome families to join us for a great holiday at sea! Children 6 months to 14 years of age at the time of sailing will receive a £99 youth discount as part of our Kids Sail for Less program. Norwegian offers child care services where your child can meet new friends while you and your spouse go to dinner. You'll see many music-loving kids enjoying the concerts with their parents on board, so bring the whole family and have a great time on The Boaty Weekender! When booking flights, we recommend that you arrive in Barcelona no later than 12:00pm CET, or in Girona/Reus no later than 11:00am CET on August 8. Return flights should be arranged to leave Barcelona after 12:00pm CET on August 12, or leave Girona/Reus after 1:00pm CET. Please allow additional time for customs and immigration clearance for international flights. The Boaty Weekender is sold in Great British Pounds and all charges incurred prior to sailing will be charged as GBP. Currency conversion shown on the website is for example purposes only. All pre-sailing payments will be processed as GBP and non-GBP accounts are subject to your bank’s exchange rate at the time of each transaction and are also subject to any foreign transaction fees of your bank. What are the prices of The Boaty Weekender? You can find pricing and availability for The Boaty Weekender here. Past due payments are subject to a £35 late fee. See the TERMS AND CONDITIONS for full details. What is the referral program for The Boaty Weekender? Did you know that you could earn $100 of Onboard Credit by referring friends to join you on The Boaty Weekender?! We’re so happy to add new members to the Sixthman family that your friend will also get a £100 discount on their cabin! Give the new guest your Sixthman Username. While booking, your friend must enter your Sixthman Username in the REFERRER field (located in “Step 3" of the booking pages) to receive the £100 discount. The program ends 30 days prior to sailing, July 9, 2019. All guests in the referred cabin must be new to Sixthman in order to be eligible for the £100 discount. * Referrals apply to full cabins only; they do not apply to individual guests within a cabin. Not already booked on The Boaty Weekender, but want to gift £100 to a friend? If you are booked on a different Sixthman event or have sailed with Sixthman previously, you can still share the gift of a £100 discount and rack up mega friend points while you’re at it! The same rules above apply, except you will not be eligible for an onboard credit. 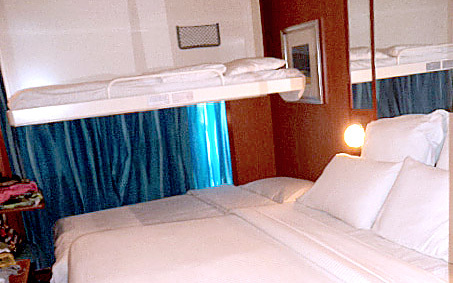 Guests traveling by themselves in their own stateroom are responsible for the double-occupancy rate of the stateroom. Single occupancy staterooms will be charged Taxes and Fees for only one guest, and will receive a discount of £199.00 off the second cruise fare. If you are planning on joining us for The Boaty Weekender, but you haven't been able to find someone to go with you, don't worry - this is the program for you! The Independent Traveler Program (ITP) allows you to book a cabin and only be responsible for your half of the cabin (plus the standard taxes and fees of £145.00). However, by signing up for the ITP, you agree to be paired with another guest who is also participating in the ITP. Full details can be found here. Interested? Have questions? Please contact us at theboatyweekender@sixthman.net or call +44 808 164 1488 for this unique opportunity! Payments can also be made via phone by calling Sixthman at +44 808 164 1488. If you live in the United States or Canada, you may purchase travel insurance while placing your reservation online or by calling Sixthman Guest Services at +44 808 164 1488 after your reservation has been placed. Insurance is sold per person and based of the amount you'd like covered (minimum coverage is the per person cost of the cabin plus all taxes and fees). You may also call Sixthman to request additional coverage for other non-cruise travel, such as airfare and deposits on ground or hotel. For a complete list of rates and coverage details please visit www.theboatyweekender.com/prices/protection/. Please note that the CFAR benefit (CANCEL FOR ANY REASON) is in addtion to the standard policy and allows a refund of up to 50% of the non-refundable Trip Cost for reservations that are canceled without a covered reason up until 48 hours prior to sailing. This benefit must be purchased within 21 days of trip purchase. Only Lead Passengers can request to change or remove existing guests, or to upgrade to a higher priced category. Downgrading your stateroom to a stateroom of lesser value is not allowed. The Lead Passenger must request these changes by phone or email. In some cases a signed Reservation Change Form may be required. This form can be found here. Because the Lead Passenger owns the reservation, any changes to this passenger are subject to a Lead Passenger change fee of £299, and will require a signed Reservation Change Form. No lead passenger changes or transfers are permitted after May 8, 2019 OR once the event is on a waiting list, whichever comes first. ALL names must be received by May 8, 2019. Each reservation is allowed one free name change prior to May 8, 2019. Additional changes prior to that date are subject to a £50 administrative fee per change. Any changes, including adding unnamed guests made after May 8, 2019, but more than one week before the cruise are £75 per change. Any changes, including adding unnamed guests made within a week of the cruise are £100 per change. Changes or additions made within the week prior to sailing must be done in person at check-in, and may incur a fee up to £299 per change. One week after missing a scheduled payment date, a late fee of £35 is added to the reservation. What are the age requirements for The Boaty Weekender? A minor is defined as an individual under 18 years of age as of August 8. A young adult is defined as an individual between the ages of 18 and 20 as of August 8. An adult is defined as someone 21 years of age or older as of August 8. 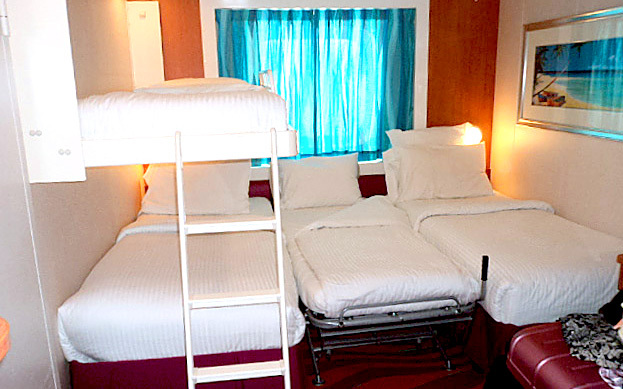 Minors and young adults must be accompanied by an adult in the same stateroom. We realize that your holiday begins the moment you book your stateroom and we wish we could look after your entire journey. However, the only part of your trip we can truly impact is the part that happens when you step on the ship. In years past, we have tried to manage the experience you have with hotels, airlines, rental cars, shuttles and we just can’t get them to care like we do. We will collect as much data as we can and refer you to hotels, airlines, rental cars, and shuttles so that you can make your own choice. We will see you on the ship and put our energy into making it the greatest holiday you have ever had! Can I check my bags at the port? Each piece of checked luggage must have a luggage tag listing your name, ship and cabin number. Luggage tags can be printed prior to the cruise during registration for e-documents and additional tags may be obtained at port from the curbside porters. *Please note that curbside porters are not employees of Norwegian and it’s customary to tip them £1 per bag. ALCOHOL AND ILLEGAL SUBSTANCES. Guests are prohibited from bringing liquor and beer on board. However, fine wine or champagne may be brought on board during embarkation. See our alcohol policy for more details. The legal drinking age on board is 21 and is strictly enforced. Passengers 18 years of age or older are permitted to consume beer and wine when sailing on round-trip European and Australian voyages without having to complete the Young Adult Alcoholic Beverage Waiver form. Alcoholic beverages purchased in a foreign port, or in the ship's gift shop, will be retained by Norwegian until the cruise is completed. Absolutely NO illegal substances are permitted and all persons and bags are subject to search by US Customs during embarkation and debarkation. The Ultimate Beverage Package and Corks and Caps Wine and Beer Package are available for The Boaty Weekender guests at a 10% discounted rate. The Soda Program is available to all The Boaty Weekender guests at Norwegian's regular children's rate providing 26% in savings. Guests can pre-purchase these packages or they will also be available on board. Everything you need to know can be found at www.theboatyweekender.com/beverages. Congrats on your upcoming marriage, how exciting! Unfortunately, we cannot coordinate a wedding during one of our events due to the nature of our sailings. To ensure every guest has an amazing time on their holiday our team’s focus is 100% on executing the event on board. Also, we tend to utilize most venue space for festival programming and operational needs. Guests are welcome to choose to get married while on land just before boarding the ship or at a port of call during the sailing, but this is not something that Sixthman or Norwegian is able to assist with. The dress code for The Boaty Weekender is much more relaxed than a normal cruise. We want you to be comfortable! The only thing we ask is that you wear shoes and a cover up over your bathing suit while in the dining rooms. As we get closer to sailing, we’ll announce several "theme nights" – so be prepared to get creative and join in on the fun! Our number one priority is to ensure the safety and security of our guests, artists and ship crew. For this to be achieved, it is imperative all guests have an understanding of the behavioral standards to uphold while on board. The information contained within Norwegian Cruise Line’s Guest Conduct Policy (see below) serves to notify all guests of the expected conduct on this Sixthman festival at sea. Please become familiar with this information and then get ready for a holiday that aims to create memories that will last a lifetime! Our crew members are friendly, outgoing and helpful, and they will do their very best to make your holiday as enjoyable as possible. Please do not misinterpret their friendliness. Crew members are prohibited from engaging in physical relationships with guests. Crew members are not permitted to socialize with guests beyond their professional duties, and are not permitted to be in guest staterooms, except for the performance of their shipboard duties. Guests are expected to respect these policies and are similarly prohibited from engaging in physical relationships with crew members. 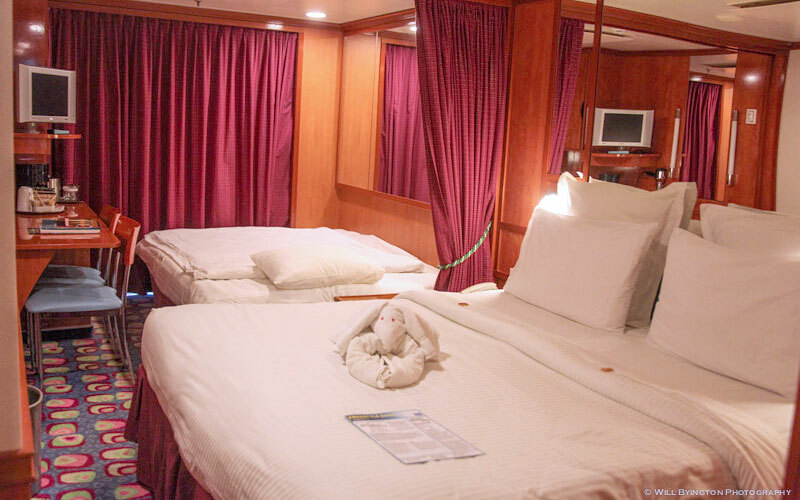 Guests are not permitted in any restricted or crew area of the ship, including crew staterooms and corridors. PARENTAL AND GUARDIAN RESPONSIBILITY For purposes of this Guest Conduct Policy, a minor is defined as anyone under the age of 18. A young adult is defined as anyone ages 18, 19 or 20. Parents and guardians are responsible for the behavior and appropriate supervision of their accompanying minor(s) and young adult(s) throughout their holiday. This obligation applies during transfers to and from ships, inside terminals, while onboard, at our ports of call, during shore excursions and at our private destinations. This responsibility applies at all times, regardless of whether the parents and guardians are physically in the company of their minor(s) and young adult(s). Passengers 18 years of age or older are permitted to consume beer and wine when sailing on round-trip European and Australian voyages without having to complete the Young Adult Alcoholic Beverage Waiver form. No guest under age 18 may possess or consume alcohol at any time, while onboard or at our private destinations. No guest under age 21 may possess or consume alcohol at our private destinations. Any guest who goes ashore and consumes alcohol (whether under the supervision of a parent/guardian or not) is responsible for ensuring they consume responsibly and retain their ability to recognize and avoid potentially dangerous situations when they return to the ship. Parents/guardians are reminded they are responsible for the actions of their child/young adult at all times while on a Norwegian Cruise Line cruise. No illegal drugs or other illegal substances including but not limited to medical marijuana are allowed onboard or may be utilized during a Norwegian Cruise Line holiday, including during transfers to and from ships, inside terminals, during shore excursions or at our private island. Illegal drugs or substances will be confiscated and appropriate action taken,which may include removal from the ship and involvement of appropriate authorities. In addition, foreign governments at Norwegian Cruise Line ports of call have strict laws that address drug possession. Guests found in violation of such laws are subject to arrest and prosecution by the foreign jurisdiction (and perhaps United States or other authorities as well) and may be prevented from re-boarding the ship. If you have any food allergy or a dietary requirement that requires Kosher meals or gluten-free food product, please advise Sixthman at the time of booking. Obtaining the product for many of these requests requires 45-days notice prior to sailing, and we want to ensure that Norwegian is able to fulfill your request. Norwegian cannot guarantee Kosher Meal requests made within 45 days of sail date. *Please note that all onboard charges are in US Dollars and most onboard purchases (including food and beverage and merchandise) during this itinerary WILL be charged applicable taxes. If you have any food allergy or a dietary requirement that requires Kosher meals or gluten free food products, please advise Sixthman at the time of booking. Obtaining the product for many of these requests requires 30-days notice prior to sailing, and we want to ensure that Norwegian is able to fulfill your request. Norwegian cannot guarantee Kosher meal or gluten free food product requests made within 30 days of sail date. The ship offers vegetarian options, but not specifically vegan options in the main dining rooms. You will be able to navigate your dietary needs by speaking with the restaurant manager on board (during the first day of sailing) in order to discuss what dishes may be prepared for you. The buffets, of course, will contain many fresh food items that are vegan (vegetables, fruits, beans), but for any cooked dishes, you will need to inquire if they had been prepared with butter vs. oil, etc. You may also bring with you pre-packaged snack items to supplement your dietary needs, but no fresh food items. To ensure that you have assistance with medical expenses during your trip, we strongly recommend the purchase of travel insurance. Sixthman offers US and Canadian guests a leading travel insurance plan through our partnership with Travel Insured International. The standard policy includes Emergency Medical Protection of up to $25,000 USD reimbursement for care and treatment and up to $50,000 USD reimbursement for emergency medical evacuation. To discuss questions and pricing for insurance coverage, please contact Sixthman Guest Services. Sixthman can be reached at +44 808 164 1488 or at sixthman.net/contact. Please use the live chat feature on our website, contact us or call the Sixthman office at +44 808 164 1488. Cannonball Club is our way of inviting our cruising community to experience more than one Sixthman vacation per year. Any guest booked at full price* on The Boaty Weekender is considered a member of Cannonball Club and may book one or more Cannonball Club events at special reduced rates. AEG Presents is one of the world’s leading companies in live entertainment, promoting memorable sell-out UK tours for the world’s biggest artists including Justin Bieber, Bon Jovi, Shawn Mendes, Rod Stewart, The Who & many more, as well as finding emerging and growing new talent. We also promote festivals and outdoor events including Barclaycard presents British Summer Time Hyde Park which has featured the likes of The Rolling Stones, Neil Young, The Libertines, Bon Jovi, Lionel Richie, Taylor Swift, The Who, Stevie Wonder, Mumford & Sons, Carole King, and many more.